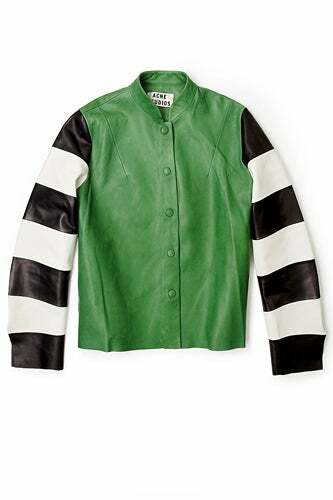 Acne Valentine Striped Arms Leather Jacket, £1,250, available at My Wardrobe. Anthropologie Dandy Leather Jacket, £248, available at Anthropologie. 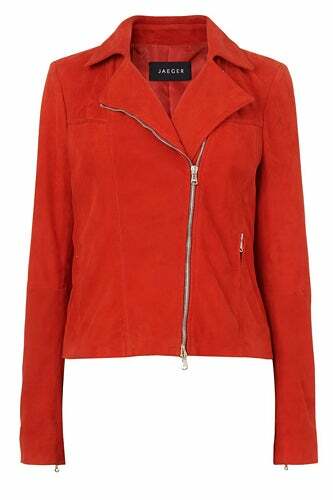 Jaeger Suede Biker Jacket, £399, available at Jaeger. 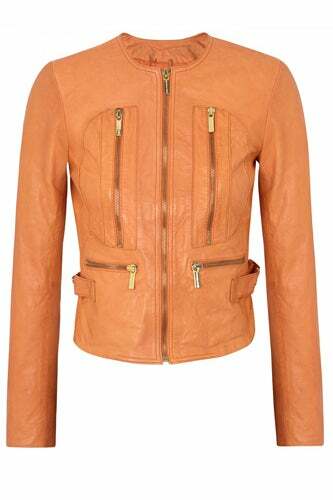 Mango Leather Jacket, £79.99, available at Mango. 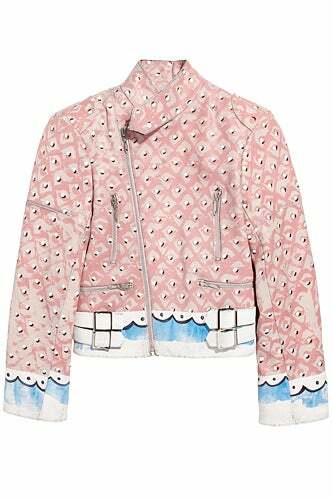 Meadam Kirchoff Cutie Hand-Painted Shrunken Leather Biker Jacket, £3,135, available at Net-A-Porter. 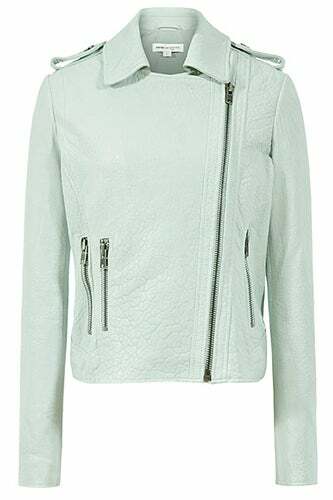 Michael Michael Kors Leather Jacket, £385, available at Harvey Nichols. Oasis Leather Peplum Jacket, £175, available at Oasis. & Other Stories Leather Jacket, £195, available at & Other Stories. 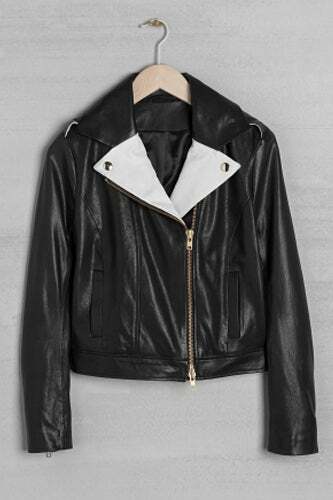 rag & bone Monaco Jacket, $1,795, available at rag & bone. Reiss 1971 Maya Moto Jacket, £395, available from Reiss. 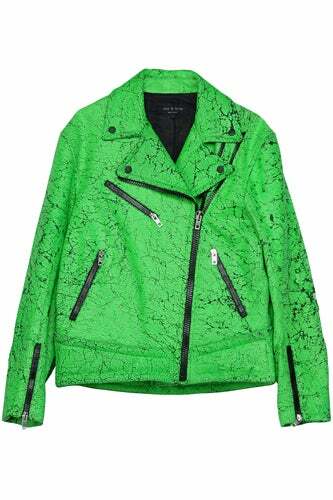 Whistles Colour Block Bronco Biker Jacket, £350, available at Whistles. 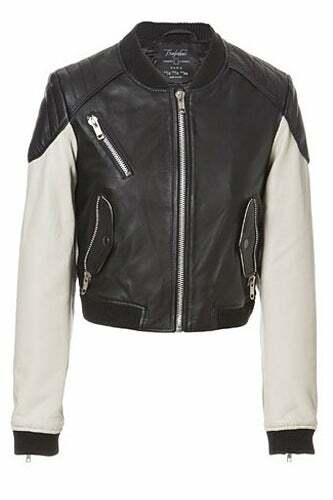 Zara Combination Leather Biker Jacket, £149, available at Zara.